As the title suggests, this book is primarily for surgeons, but nurses can benefit. It is American based, but translatable to UK practice. The book begins by briefly discussing the role of dermatology in primary prevention, chemoprevention, dietary advice and lifestyle adjustments. Secondary prevention is defined as techniques and approaches for known ‘at risk’ groups, such as mole mapping, excision and teaching patients about early clinical changes that should prompt a medical review. Specific vulnerable groups are discussed and healthy lifestyle behaviours outlined. The book takes the reader through detection and treatment of common and rare skin malignancies. Two chapters are dedicated to the role of radiotherapy and the systemic anti-cancer therapy, and the book also examines reconstruction. 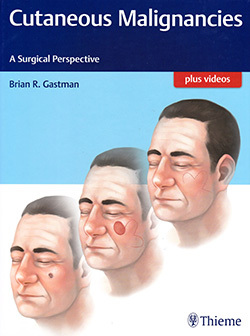 The book is littered with fascinating illustrations that help the reader to understand the condition being described and the effects on the patient. This is a comprehensive and easy-to-follow guide. I would recommend this as a library book primarily, but a dermatology clinical nurse specialist might find it valuable as reference material.